Fruitful fishing waters around Destin, Okaloosa Island and South Walton provide local restaurants with the freshest and largest selection of seafood on the Gulf of Mexico, and local dining establishments flaunt it at its tastiest. At least 20 tasty types of fish are caught in local waters during any one season, providing a great diversity of savory fare. Red snapper, grouper. amberjack, yellowfin tuna and triggerfish are some local favorites that come straight from the docks of the largest charter boat fleet in the state. 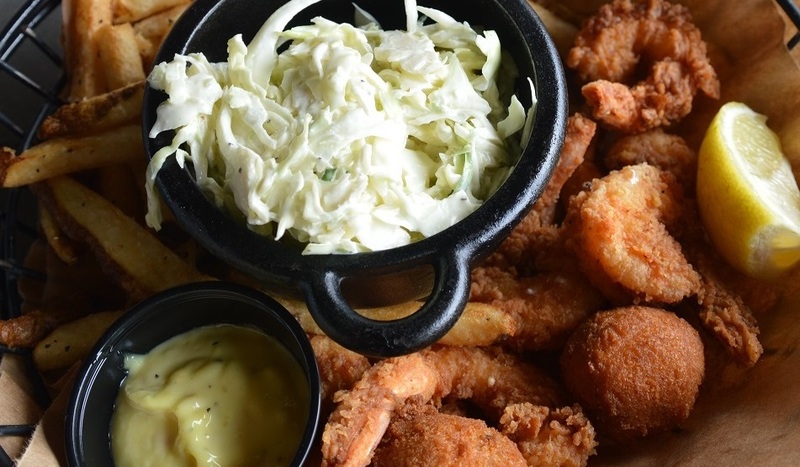 Your Destin dining experience would not be complete without indulging in our local Shrimp and Blue Crab from the Gulf and Choctawhatchee Bay. You can take home a taste of Destin from the area seafood markets as they will pack your favorite seafood for travel. 1/4 mile east of the Destin Bridge on the harbor. 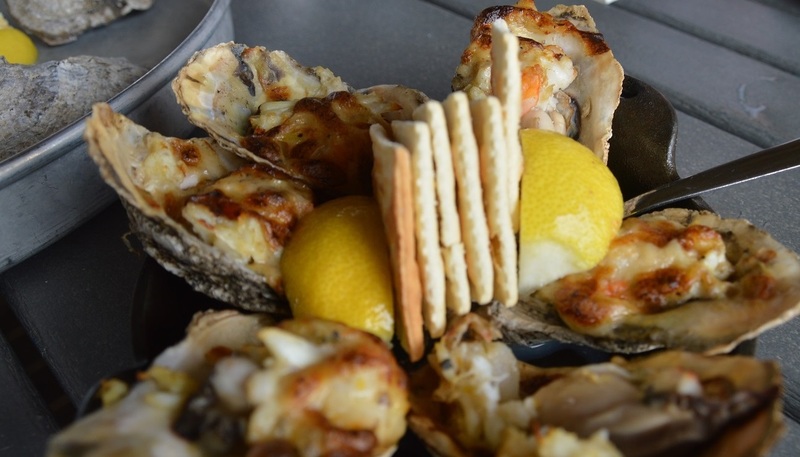 “Where legends never die!” Enjoy fresh oysters, live entertainment and affordable dockside dining while you overlook the Destin Harbor. Come dine with a view at this casual beachfront restaurant that specializes in seafood. Only the freshest seafood is served here. Lunch served 11 a.m. – 4 p.m. daily; dinner 4 – 11 p.m. Children’s menu available. Handicap facilities. Overlooking the Destin Harbor specializing in fresh ice cold oysters. 288-B Harbor Blvd, Destin, Florida 32541. Buck’s specializes in smoked pork, beef, chicken and fish. We have the coldest beer in town! Buck’s accepts MasterCard, Visa and cash. Stop in today for lunch or dinner. We open at 11 a.m. daily, till the food runs out. Affordable Family Dining. A local favorite! The original restaurant on the Destin Harbor was destroyed by Hurricane Opal in 1995. 635 Harbor Blvd, Destin, Florida 32541. Available around the clock…sandwiches, burgers, breakfast, salads and freshly baked donuts. Famous for food and fun since 1982, Fudpucker’s is the local’s favorite, offering a casual island atmosphere where fun-loving people of all ages gather for great food and good times. With everything from fabulous seafood entrees to sandwiches, burgers and salads, Fudpucker’s has something for everyone! Come relax, sip on a cool tropical drink and enjoy the sounds of the best bands on the beach. Whether it’s a leisurely lunch, a delicious dinner, a drink on the deck or live entertainment daily 11 a.m. ’til real late. Great food, live music, world-famous T-shirts and friendly people. Dress is casual. Children’s menu. In the Heart of Destin on the Destin Harbor. Dine on the harbor, Fresh Seafood, Sushi Bar. Entertainment. Open 7 Days a Week. Our service is warm and friendly. We welcome you to relax, enjoy the view and soak in the local color, the local flavor of Harbor Docks. Featuring sophisticated dining by the harbor that is on the cutting edge of fine food and fine service. Featuring over 50 menu items. See for yourself why Harry T’s is truly a legendary stay. Stay for late night fun and specials at the bar. All major credit cards accepted. Featuring Ribs, Seafood, Steaks, Kids Menu, Open 7 days, Live Entertainment 7 Nights a Week, Great food, World famous T-shirts. Featuring Seafood, Po-Boys, Pastas, Steaks, Chicken. Take Out & Catering. Zydeco Music, Happy Hour 3-5. Family owned and operated. Homemade Desserts. Open 10:00 AM to 10:00 PM. Boun Appetito! Overlooking Old Pass Lagoon, Louisiana Lagniappe is one of Destin’s most popular restaurants. Specializing in the finest Louisiana-style seafood, steaks and live Maine lobster. A full-service bar, outdoor deck and beautiful sunsets complete a wonderful evening at Louisiana Lagniappe – a little something extra and a whole lot more! Open seven days a week., March – October. Mimmo’s is the fresh new hot spot in Destin, Florida serving authentic Italian dishes bursting with flavor and color. Open seven days a week, 11 am to 10 pm on weekdays and 5 pm to 10 pm on weekends, Mimmo’s is the perfect atmosphere – whether it be a business lunch or a large family celebration. Our full bar provides a vibrant venue for an evening out with friends. Come try it out for yourself and see what everyone’s talking about. Basin Bayou Freeport, Florida 32439. 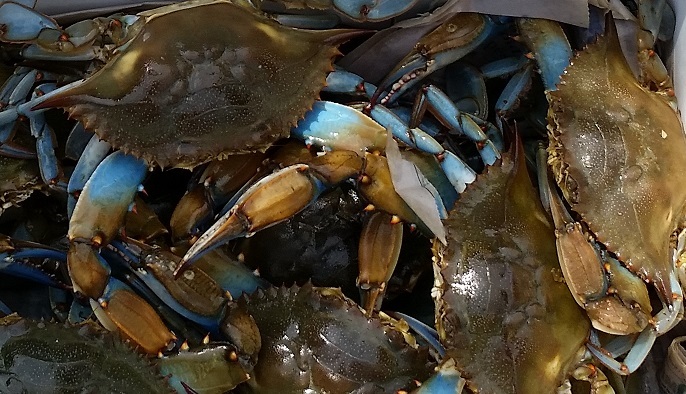 Fresh Seafood, Steamed Crabs, Oysters, Shrimp, Gator Tail in a relaxed atmosphere overlooking the Choctawhatchee Bay. Not just a restaurant, it’s our way of life! Authentic Mexican dishes made with finest ingredients availalbe. Margaritas, beer & cocktails. Pepito’s also offers take-out as well as catering and in-house banquet services. 2237 Old Hwy. 98 E.
For fun and good food, come experience the casual atmosphere and great Caribbean cuisine. Dine inside or outdoors with a spectacular view of the Gulf of Mexico. Lunch served from 11 a.m.-4 p.m. daily, dinner from 4-10 p.m. daily. Children’s menu available. Handicap facilities. Thai food, eat in, carry out, delivery. No reservations required. ♥ = good …. ♥♥♥♥ = best.